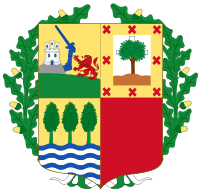 The party was founded in 1895 by Sabino de Arana Goiri as a Catholic conservative party agitating for the restoration of self-government and the defense of Juramento de Larrazabal Basque traditional values and identity. 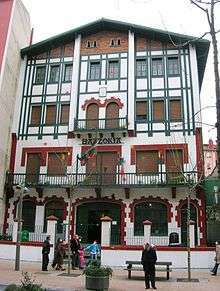 Currently, it describes itself as Basque, democratic, participatory, plural, and humanist. 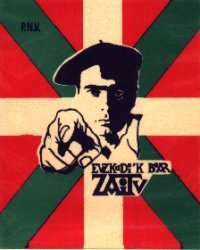 It is a moderate nationalist party which favours greater autonomy, for the Basque nation. 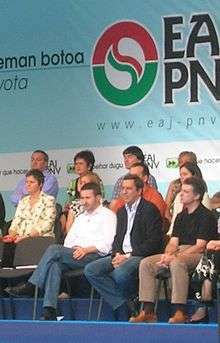 EAJ-PNV opposes political violence. ↑ Hans Slomp (26 September 2011). Europe, A Political Profile: An American Companion to European Politics [2 volumes]: An American Companion to European Politics. ABC-CLIO. p. 519. ISBN 978-0-313-39182-8. ↑ "Archived copy". Archived from the original on 2009-06-23. Retrieved 2015-08-29. ↑ Jan Mansvelt Beck (2004). Territory and Terror: Conflicting Nationalisms in the Basque Country. Routledge. p. 162. ↑ Paul Preston (2013). 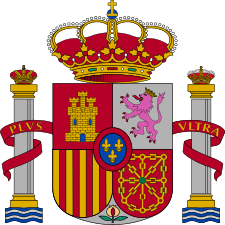 The Spanish Holocaust: Inquisition and Extermination in Twentieth-Century Spain. London, UK: HarperCollins. p. 436. ISBN 978-0-00-638695-7. ↑ Müller, Annika (April 26, 2012). "A Survivor Recalls the Horrors of Guernica". Spiegel Online. Retrieved 28 March 2013.